Superdry men’s Urban joggers from the Orange Label range. Joggers are no longer confined to the gym or your sofa - they're now a style essential. These cuffed joggers feature two front zipped pockets to hold your phone and keys, two back pockets and a drawstring waist. The Urban joggers are finished with an Orange Label logo patch near the back pocket and the classic embroidered Superdry logo on one leg. 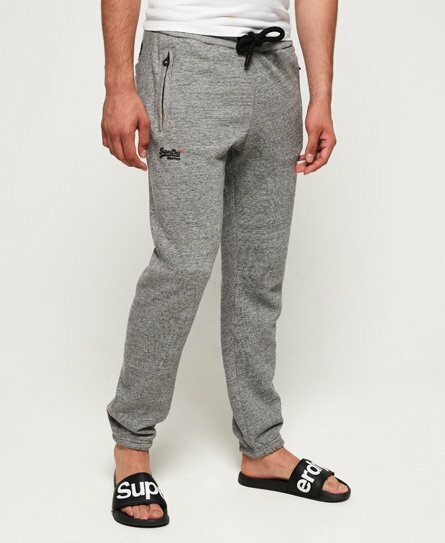 These Urban joggers are a great investment to update your wardrobe this season as they are a versatile piece of clothing they can be worn for a variety of looks.